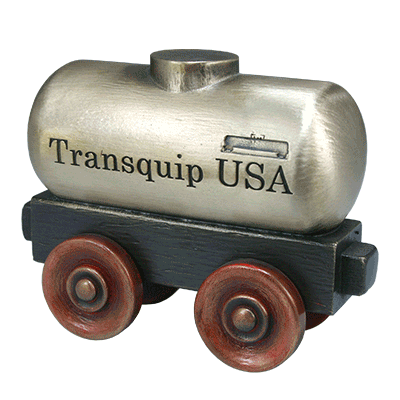 Transquip is a world leader in fluid transportation. 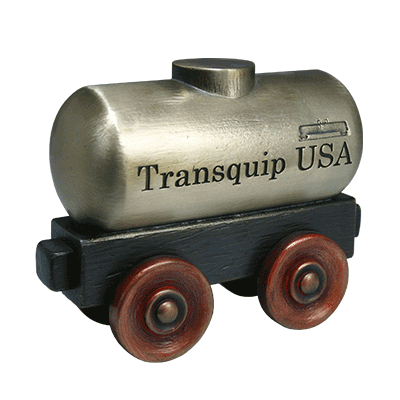 For a company gift they wanted to evoke the classic image of the train cars that have made them so successful over the years. These artistically inspired oil cars are cast in bronze and treated for their specialized color.